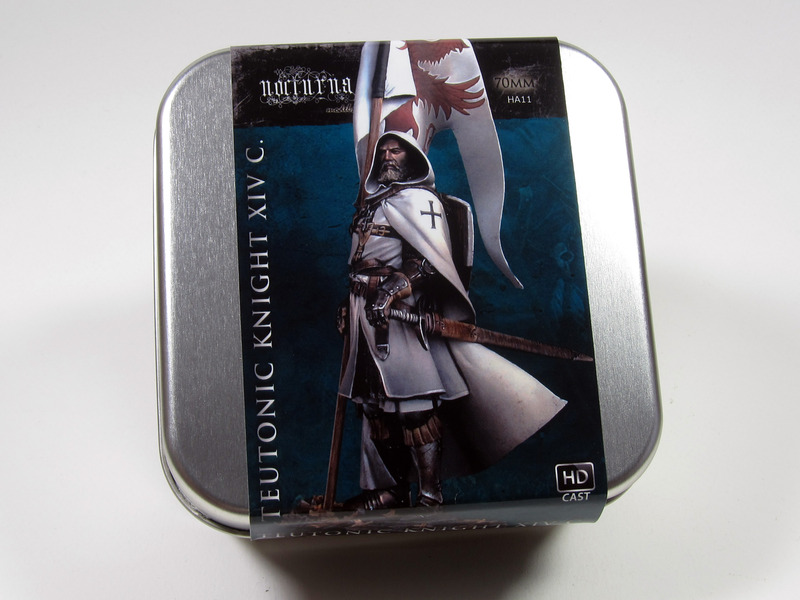 Nocturna Models of Madrid Spain is one of the most exciting figure producers around. Still a relatively young company, but one whose catalog is ever expanding, Nocturna represents a younger type of figure model studio that incorporates more stylized and artistic themes, while still apparently maintaining a connection to more traditional, historically based, figure producers with a solid footing in the classical sculpting and painting arts. 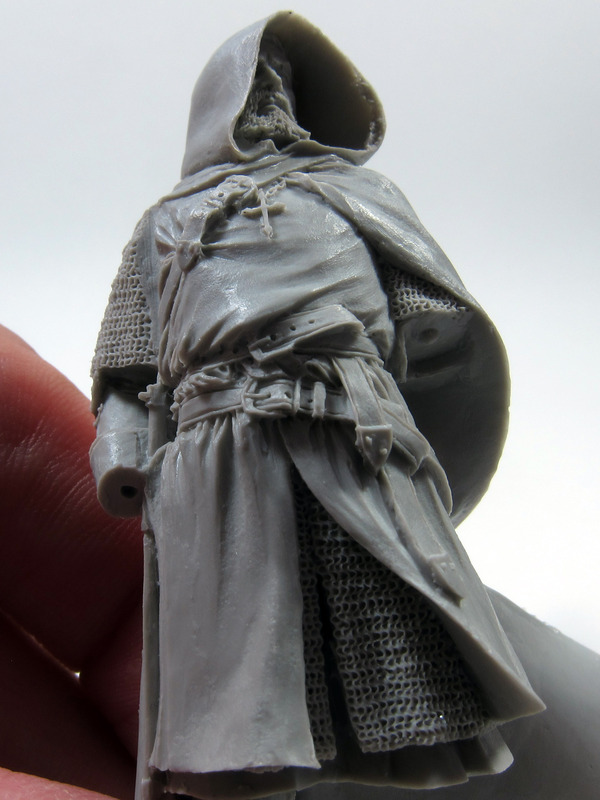 When I saw their 70MM Teutonic Knight figure at a show in Madrid, it struck me as one of the most interesting pieces I had ever seen. Even though figure modelling isn’t really my “thing” I had been rolling around a concept for a diorama in my mind and I knew that this figure was perfect for it. 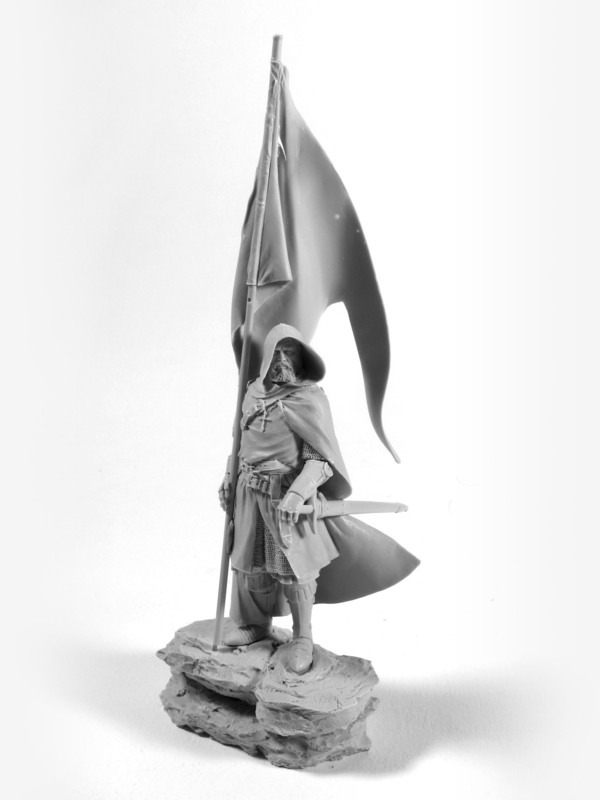 I’ll share the concept later if I can get it fleshed out to the point that I think I can execute it successfully, but for now I wanted to share a few images and thoughts of this incredible figure. In keeping with one of the repeated themes of this blog, this isn’t a review, as much as it is an opportunity for anyone who might be interested, to see what you get for your money. I should point out that I acquired this figure at my own expense. 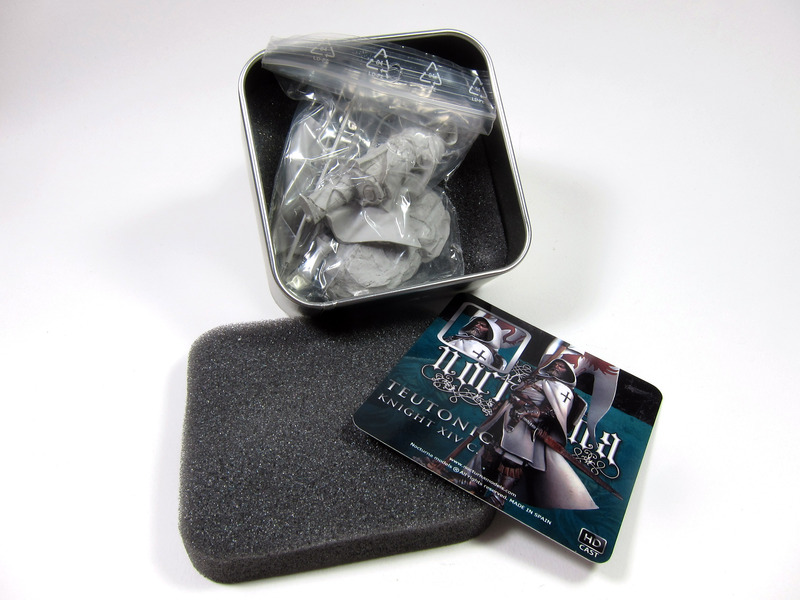 Packaging is, as are all of Nocturna Models releases, top notch! The parts are clean and very well cast. You can see some small bubbles (2 total on the entire figure) inside the banner, but they are not visible on the surface. Nice pose. Dynamic while not your typical “in-action” pose. The dry-fit assembly in the last image is the result of about an hours worth of cleanup and assembly. I added magnets to the joints to allow me to disassemble the figure for painting, which added some time beyond normal cleanup (which was minimal). Mold parting lines were very minor and the joints were self indexing and well-fitting. A metal rod is cast into the flag pole / spear to lend some strength to the joint with a corresponding hole cast into the mating part. Nice touch! I can fully recommend this figure to anyone. 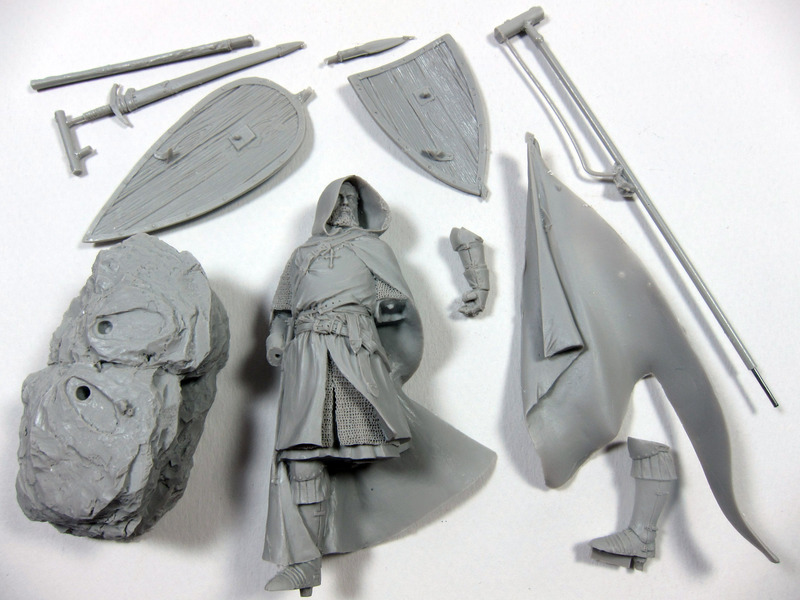 Clean casting, ease of assembly, excellent packaging and great customer service from Nocturna Models mean that I will be back for more in the future.